I tried Woodberry Kitchen for dinner with my family about a year ago and thought it was wonderful, but I’ve also heard great things about their brunch. On a leisurely Saturday morning some friends and I headed over to Hampden to check it out. 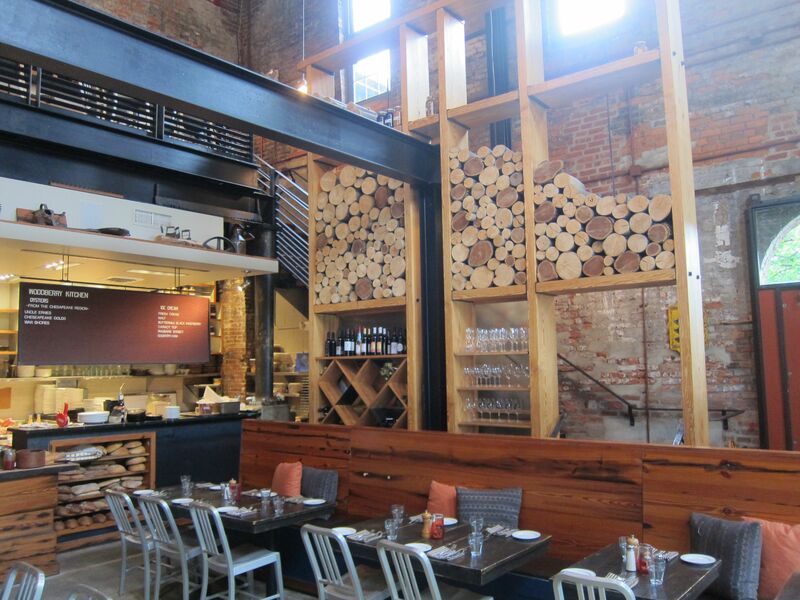 Woodberry Kitchen is possibly one of Baltimore’s most talked about restaurants. Trip Advisor ranks it as the #8 restaurant in Baltimore. All the food is farm to table and Woodberry Kitchen prides itself on having a good relationship with local farmers in the area. For parking, they offer a free valet service which is always a nice amenity to offer. Inside, the building used to be a warehouse but has been since been converted into a two-story restaurant. If you are a picky eater, coming to Woodberry Kitchen for dinner might not be a great idea because the menu changes daily. However, the brunch menu is available online. I knew to make a reservation in advance so when we arrived at noon, while it was busy, we were seated right away. Recently, I’ve been watching a lot of Chopped and other cooking competition shows on the Food Network and I’ve noticed that often times a chef will make a hash of some sort. I’ve never had hash before and when I saw one on the menu that looked good, I knew I had to try it. 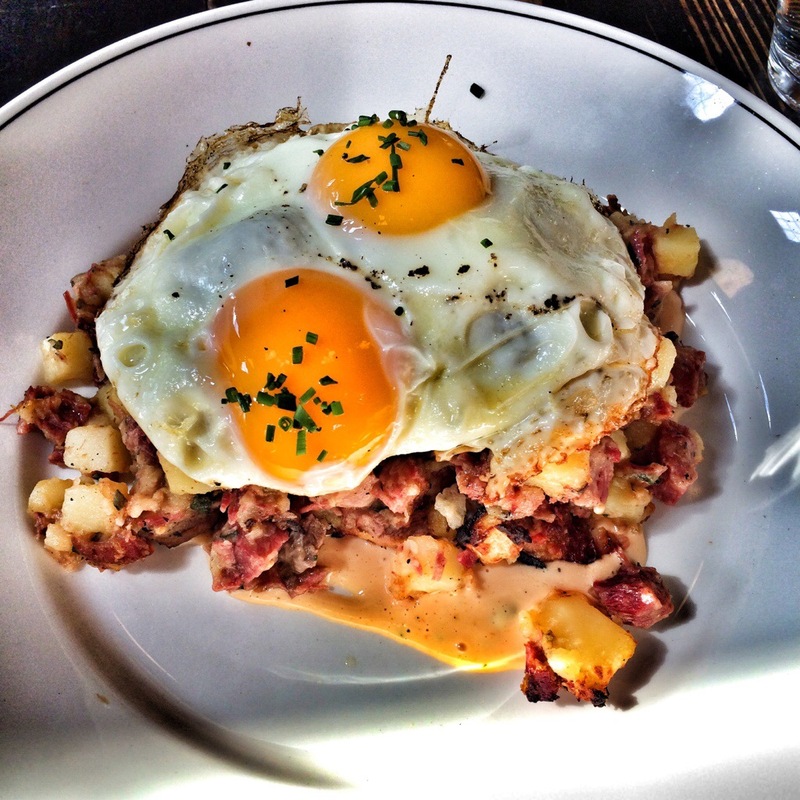 The Corned Beef & Potato Hash consisted of eggs, fish pepper, sweet onions, mustard, garlic, russian dressing. This was quite possibly the best brunch item I have ever eaten. One of my friends opted to try the Hash Brown which was the best hash brown any of us have ever tasted. The potato was shredded and then deep-fried so it had a nice crunchy exterior and remained soft and moist inside. 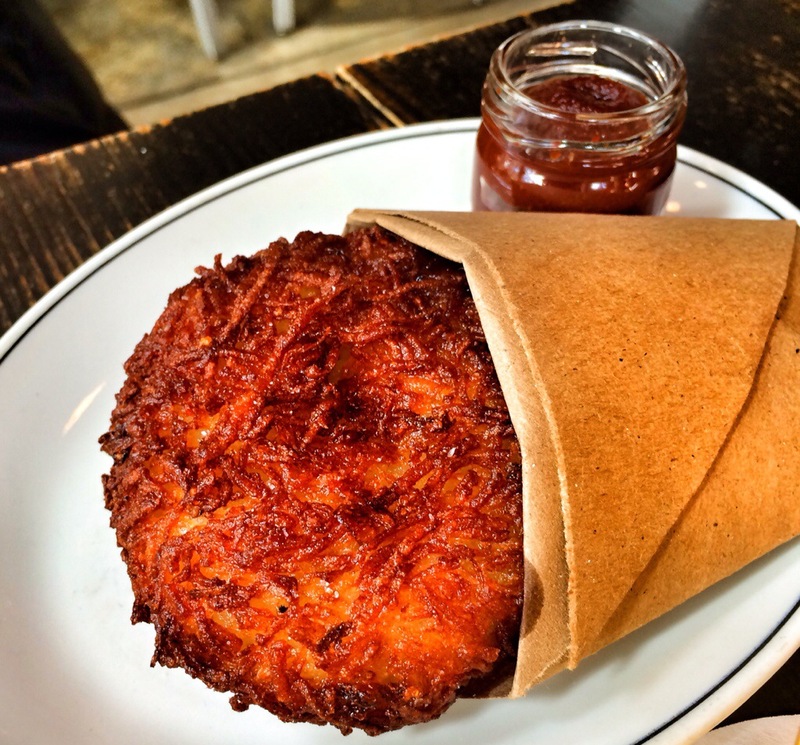 This massive hash brown was served with the house made ketchup, personally I’m ambivalent towards ketchup but the fact that they make it in-house is right on par with the restaurant’s attitude towards sustainable food. 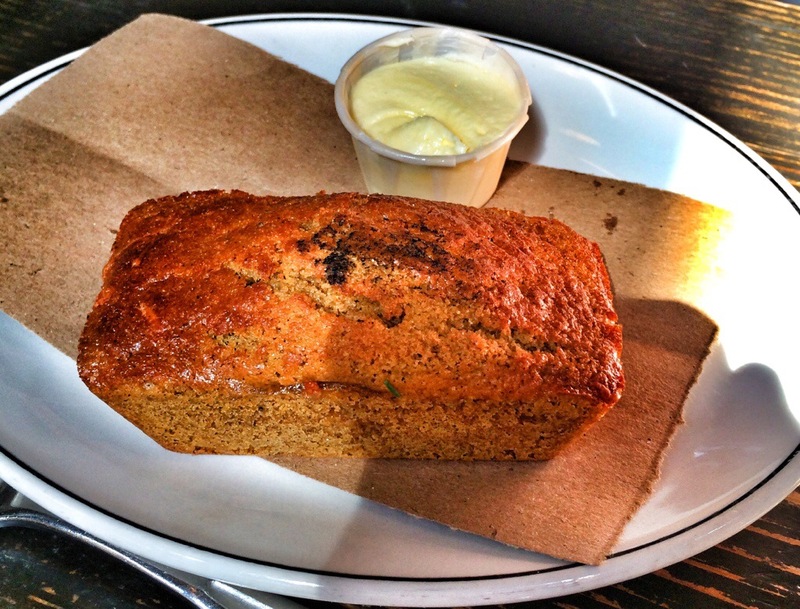 As a table, we also shared the Cheddar Cornbread. This was a great dish. One of my friends ordered the French Toast. It came with whipped cream cheese, peach conserve, maple syrup. 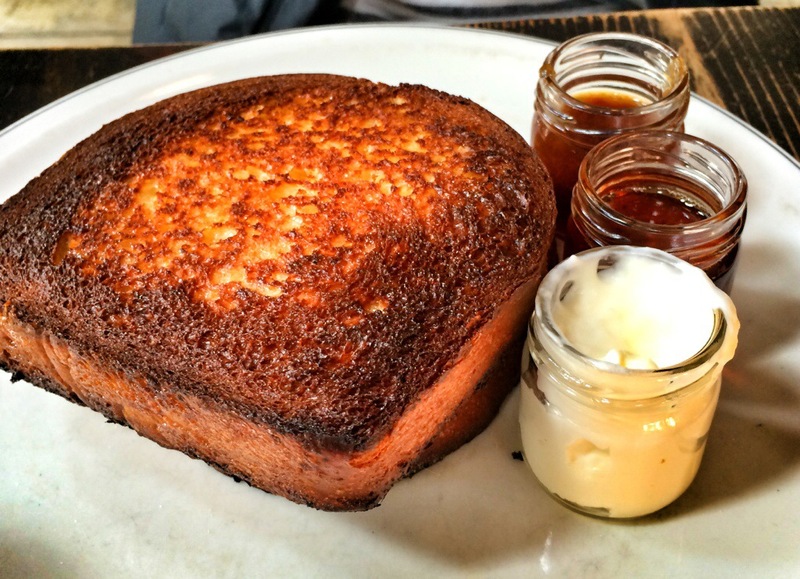 She loved it – said it wasn’t too eggy, which is often her complaint with most french toasts. However the portion size for this was large and she was only able to finish half of it. There is a second piece of French Toast under the first. Another great hit of the meal was the Morning Flatbread. It was a breakfast pizza with pork BBQ, buttered potatoes, sweet onions, cheddar, farm eggs. 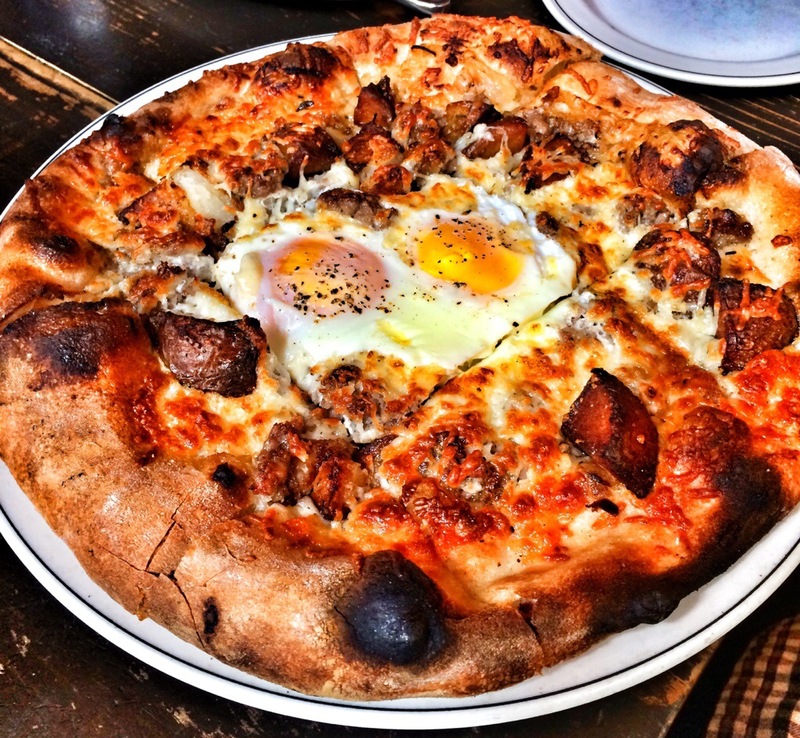 Breakfast pizzas are one of my favorite types of pizza and this was no different. When the waitress brought out the Morning Flatbread there was a tiny mix up with the order. Because of this she offered us a free ice cream sampler for dessert. 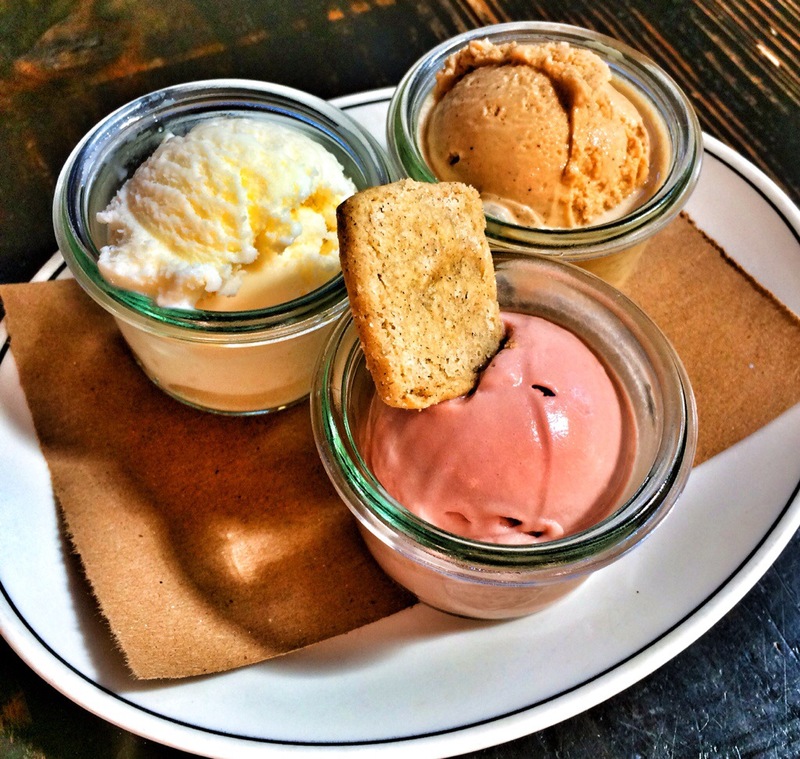 The flavors of ice cream are coffee, sweet cream and raspberry sorbet. They were all delicious. The ice cream flavors change daily but some of them looked really interesting and I almost wish Artifact Coffee down the street (same owner) had an ice cream counter so I could try them. For a great brunch with all local ingredients, Woodberry Kitchen in Hampden does a great job. 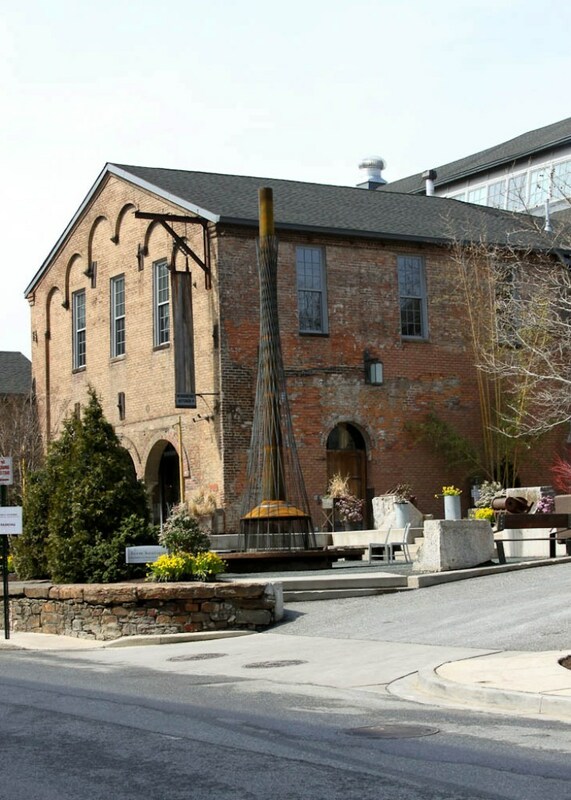 Woodberry Kitchen is located at 2010 Clipper Park Road, Baltimore. no one forced you to read this, and I am allowed to have my own opinion on certain foods.